Tuscany, with its patchwork fields, medieval cities, cypress-lined avenues and farmhouse-topped green hills has held foreigners in its thrall for centuries. Every year the region attracts over 14 million visitors, with its capital city Florence accounting for a million of those. It can be hard to see the “authentic Italy” when shouldering your way through crowds of tourists in the hot summer months. Buying a property in one of the hotspots (Chianti, Val d’Orcia and so on) is astronomically expensive too. A sun-drenched region flanked by sparkling seas has, for the past few years, been described as “the new Tuscany”. Puglia, located in the heel of Italy, probably only gets a quarter of the number of visitors Tuscany does and 70 per cent of its tourists are Italians. Puglia is not on the way to anywhere else. People go there to see Puglia, not to use it as a base for travelling to other parts of Italy (except for the drop-dead-gorgeous ancient city of Matera in Basilicata). It is wilder, flatter, hotter and more rural than Tuscany. Its olive trees are more gnarled and much bigger. The food and wine is as good as, if not better, than Tuscan cuisine, but far more reasonably priced. 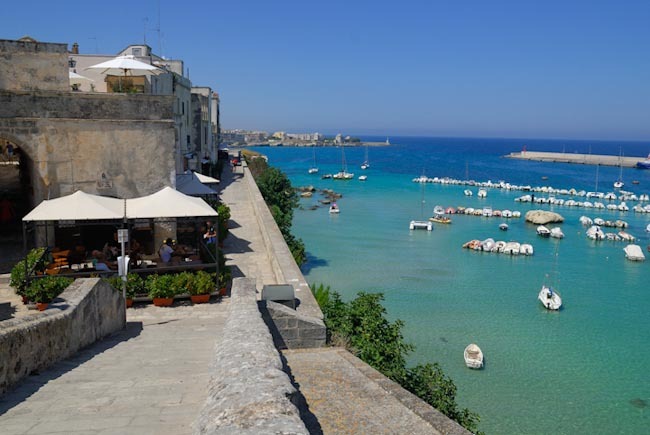 It has its share of fascinating cities: white-walled Ostuni with its spectacular sea views, Baroque beauty Lecce, picturesque Otranto but they are not teeming with tourists. Puglia is a place that you can visit year-round, unlike Tuscany. You’ll have the pristine beaches to yourself, and be able to explore places that have stayed unchanged for centuries. Is Puglia the new Tuscany? No. Puglia is unequivocally, gloriously itself, it doesn’t need to bask in the reflected fame of its more famous cousin. It isn’t “the new” anything. It doesn’t need to be.